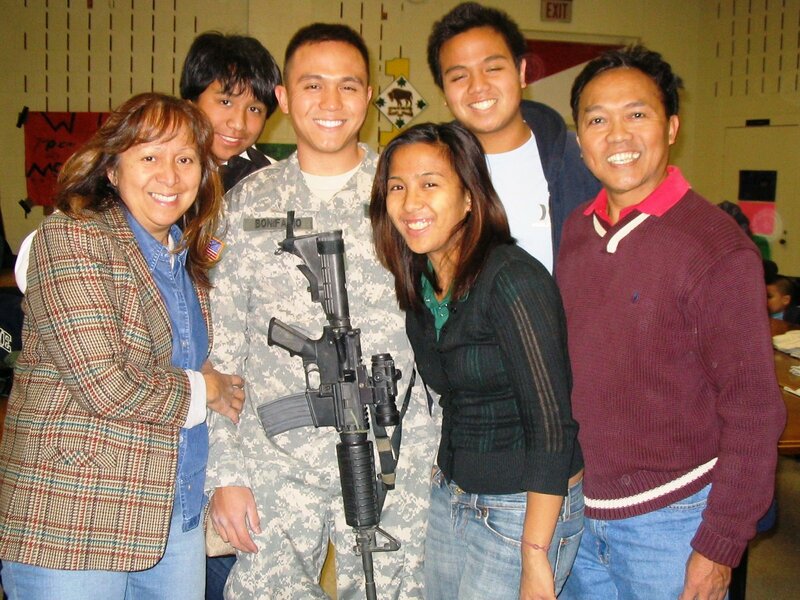 CHICAGO — As an army captain assigned in Iraq, Mario Bonifacio experienced the war firsthand. Now, he is in a different battlefield helping Barack Obama get elected president of the United States. “This is an extremely historic event and I am very proud to be a part of it,” Bonifacio said, referring to the Illinois senator’s candidacy. Bonifacio is the Regional Field Director of the Obama campaign for the state of New Jersey. He is one of the very few Filipino-Americans with an inside look at the campaign from its early stage. Recently, the campaign also recruited Charmaine Manansala as director of the Asian American Pacific Islanders voter outreach program. During Obama’s crucial primary campaign in North Carolina, Bonifacio was in the trenches, mobilizing voters as Obama’s regional Get-Out-The-Vote (GOTV) coordinator. The effort paid off with a decisive 14-point victory in the Tar Heel State, cementing Obama’s delegate lead. On June 3, Obama officially clinched the Democratic nomination, becoming the first African-American major party presidential candidate in the nation’s history. “It felt very good,” Bonifacio said of Obama’s victory. He said that despite the intense fight between Obama and New York Senator Hillary Clinton, which dragged on for months, the contest was good for the party. “It was encouraging for the campaign because it included a lot more people in the nominating process,” he said. “I think people recognize the very serious issues that we face in this election, and I think that it will override any sort of feelings” people had during the primaries, he said. The California native was not always this political. As the eldest son of an accountant and an engineer, he is good with numbers. In college, he steered clear of politics, instead taking up economics at the University of California at Berkeley. “I really never had any inclination towards politics, although I always voted,” Bonifacio said. Half-way through his major, 9/11 happened and it altered the course of his career and outlook in life. The terrorist attack prompted him to sign-up for the ROTC. Bonifacio’s mother, Marilen, is a native of Manila, while his father, Oscar, is from San Jose City, Nueva Ecija. The Bonifacio family now resides in Orange County, California. His two younger brothers, Jordan and Michael, attend school, while his younger sister, Lauren, lives and works nearby in Los Angeles. Bonifacio said that joining the military at a time of crisis was his way of expressing his gratitude to the country that welcomed his immigrant parents. After graduation, he formally joined the Army, and eventually rose up the ranks to become an army captain. In 2006, at the height of violence in Iraq, he was deployed there. He served as a trainer and liaison to the Iraqi Army, a dangerous assignment, given the fact that he had to interact with former soldiers of Saddam Hussein. Along the way, he had to fend off hostile fire and evade roadside bombings. Luckily, he wrapped up his tour of duty and returned unscathed. But it was in Iraq that Bonifacio first realized how decisions in Washington D.C. impacted the execution of the war on terror. “I came to realize and believe that politicians really affect how I lived my life,” while fighting in Iraq, he said. He cited the deep disconnect between Washington and what was happening in Iraq during his time there. As soon as he finished his active duty, he began to explore political activism. As a military man, he was a natural fit for Senator John McCain, now the presumptive Republican nominee, who is a decorated Vietnam War hero. Instead, he signed up for the Obama camp on June 4, 2007. “I never joined the Obama campaign to be against anything,” he stressed. He said that he admired Obama’s support of the GI Bill, and most of all, his position in ending the war in Iraq. After a short stay in Chicago, where the Obama headquarters is located, Bonifacio was dispatched to Iowa, where the first-in-the-nation caucus was held. In the dead of Winter of 2007, when “Obama was 20 percent behind in the polls,” Bonifacio put to good use the skills he learned in the military. As a field organizer, he knocked on doors and registered new voters. Bonifacio credited his military experience for instilling in him the value of discipline, adaptability and leadership, skills that were very useful in his first political work. “I easily adapted to the early morning wake-up calls and long hours of work,” he said. At the Hawkeye State, he engaged college students, veterans, farmers, and housewives. “We kept on talking about Senator Obama and pushing the message. We had a chance to talk to people, and they asked us questions. And after taking a long and fair look at the candidate, they came on board” Bonifacio explained. He also pointed out that the small Filipino community in Iowa was very receptive of Obama’s candidacy. As a then 27-year old veteran of the Iraq War, Bonifacio was also an authoritative face in reaching out to the veterans population in Iowa. On January 3, Obama won Iowa, a state with a 97 percent white population, catapulting him into front of the pack. On the night Obama delivered his victory speech and declared, “We are one nation; we are one people; and our time for change has come” Bonifacio was in the crowd cheering and savoring the victory. Bonifacio also played a supporting role when Obama made a very strong showing on the night of Super Duper Tuesday. Leading the the February 5 multi-state contest, Bonifacio was assigned at the Chicago headquarters helping coordinate strategy for the campaign’s Latino outreach. As the campaign enters the general election phase, Bonifacio directly addressed the prevailing skepticism among the Filipino American community towards Obama. 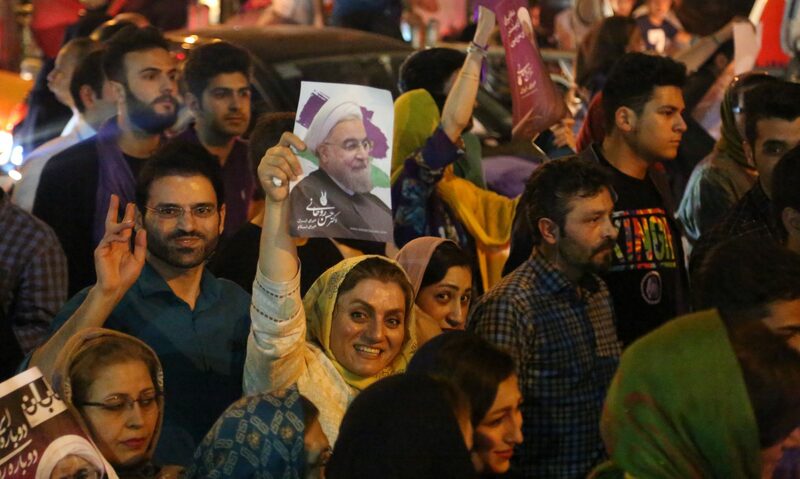 He urged them to study the policy differences between Obama and McCain. “Once they listen to him explain his policies, they will come around,” he said, adding that issues such as immigration, healthcare and education, that are important to the Filipino American voters are top priorities of an Obama administration.